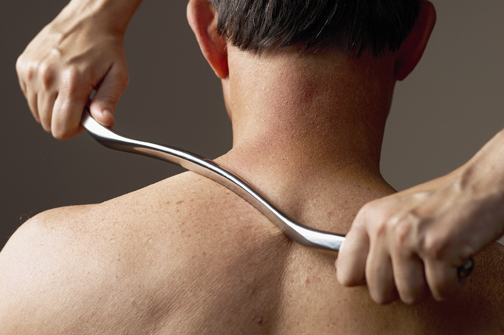 Graston Technique ® is an innovative, patented form of instrument-assisted soft tissue mobilization that enables clinicians to effectively break down scar tissue and fascial restrictions. The technique utilizes specially designed stainless steel instruments to specifically detect and effectively treat areas exhibiting soft tissue fibrosis or chronic inflammation. Originally developed by athletes, Graston Technique® is an interdisciplinary treatment used by more than 16,000 clinicians worldwide—including physical and occupational therapists, hand therapists, chiropractors, and athletic trainers. GT is utilized at some 1,650 outpatient facilities and 55 industrial sites, by more than 250 professional and amateur sports organizations, and is part of the curriculum at 57 respected colleges and universities.